AirPower appears to be closer to launch than ever with Apple showing a diagram on the retail box of the newly launched AirPods Wireless Charging Case. 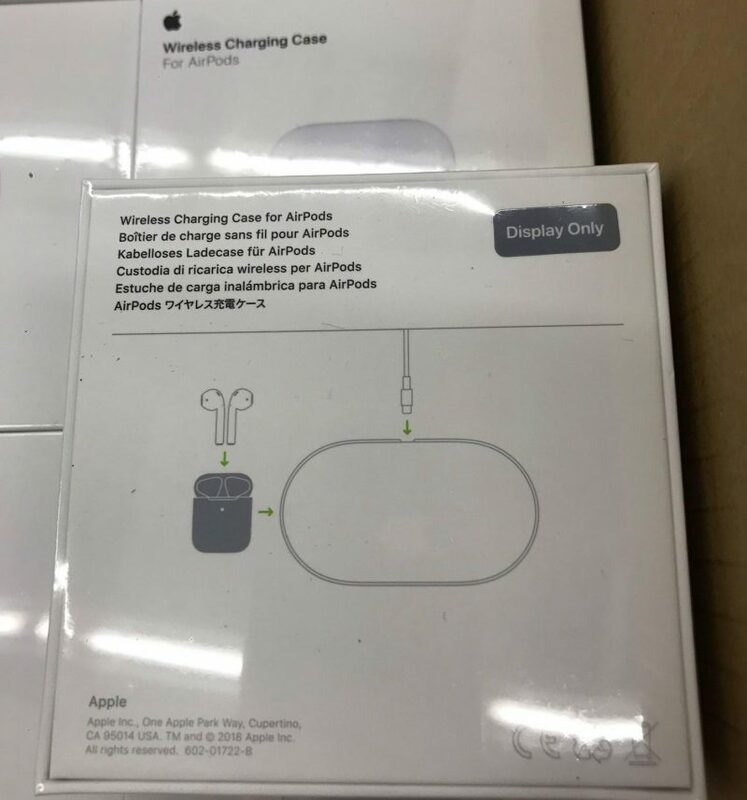 The photo was sent to MacRumors this morning and appears shows Apple’s long-delayed wireless charging mat referenced on the packaging of the new Wireless Charging Case for AirPods, which Apple announced last week. The image has since been verified with another report. The back of the box clearly shows the distinct pill-shaped outline of the AirPower charging mat externally powered by what appears to be a USB-C or Lightning cable, indicating that the yet-to-be-released device can be used to charge AirPods using the wireless-compatible charging case. Apple launched its new second-generation AirPods on Wednesday, and customers who ordered them on the same day are expecting deliveries between March 26-27. The new AirPods are available with a wired charging case for $159 or with a Wireless Charging Case for $199. Apple is also selling the Wireless Charging Case separately for $79, so that existing owners of first-generation AirPods can charge their earbuds wirelessly using Qi-compatible charging mats. The new AirPods will be available at Apple Stores and select resellers later this week. Last week, MacRumors uncovered what appears to be a new Apple product image of the AirPower with an iPhone XS and the new AirPods with Wireless Charging Case on it. MacRumors has also uncovered evidence to suggest that Apple has secured the rights to the AirPower trademark in the United States. AirPower is designed to charge multiple Apple devices at once, including the iPhone 8 and newer, Apple Watch Series 3 and newer, and AirPods when they are placed in the new optional wireless charging case.